Last week, in my story about the first nationwide hockey broadcasts, I mentioned there would be more this week about the 1931 Stanley Cup Final. The Canadiens won the Cup that year in a tight series with the Chicago Black Hawks. It was Montreal’s second championship in a row. The Canadiens were coming off a tough first-round matchup with the Boston Bruins. That best-of-five series went the distance with three of the games going into overtime. Montreal opened the Stanley Cup Final in Chicago on April 3, 1931, winning the first game 2-1 but dropping a double-overtime decision by the same score two nights later. This best-of-five set then shifted to Montreal for the remaining games, and Chicago took game three 3-2 in triple overtime. Montreal stayed alive with a 4-2 win in game four, setting the stage for the finale on April 14. Ottawa home. There is no photo credit in the Weekend Magazine story. “Howie Morenz had been held scoreless for nine consecutive playoff games. It was unheard of in his career as a professional. Suddenly, he grabbed a puck at center ice and whirled his way around the left defence, hesitating until he was sure of the shot and hammered it home true. “It was some minutes before play could be resumed as the fans showered the ice with programs, newspapers and even hats. 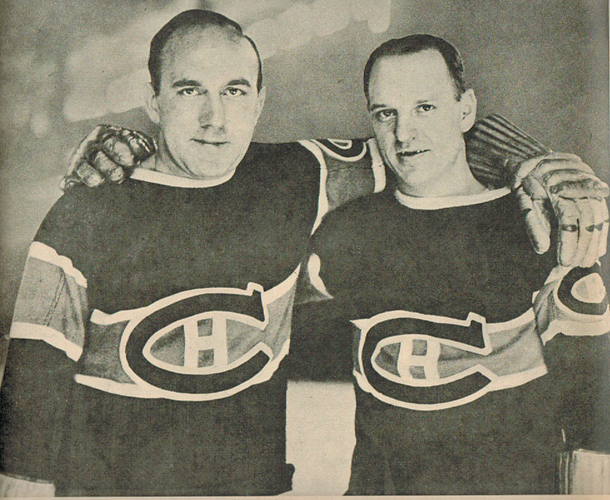 In Andy O’Brien’s story, Aurele Joliat recalled that he was paid $1,500 as a rookie in 1922-23 and that Morenz earned just $1,200 when he joined the Canadiens the next year. (More modern sources have Morenz earning $2,500 or $3,500 as a rookie.) Joliat was 60 years old in the spring of 1962 and was working in the information wicket for the CN Railway at Ottawa’s Union Station. He was wistful, O’Brien writes, about the average NHL player being paid $12,500 in 1962. Thank you for this sojourn back in time. Final game April 14. Generally, I accept change but the extended season has been difficult for me to embrace…but they are paying their stars more than $1500 per season now so something had to change to fund it. $1,500. as a Rookie player…can you imagine? And that was considered a fortune! I think hockey players earn that ‘suiting up’ now Eric!